There go the Tampa Bay Rays … thinking again. Here they are, in the best part of their season. They are winning, and they are beating good teams. They are pitching like madmen. Their rookies are good. They can win with 11 runs, and they can win with one. Also, they can work a Rubik’s Cube while standing on their heads on a tightrope. Get this one: The Rays were ahead of Washington, 1-0, in the ninth inning when Kevin Cash started putting together jigsaw puzzles again. He wanted to replace reliever Jose Alvarado, who had just walked Bryce Harper, with Chaz Roe. But he wanted to replace Roe with Alvarado. So he did it this way: He moved Alvarado to first base, first baseman Jake Bauers to left field and and left fielder Mallex Smith to right. That meant he could bring back Alvarado. After a strikeout by Roe, he returned Alvarado to the mound — where he gave up to soft line drive singles — and Bauer to first and Smith to left. Got it? On a team with openers and closers, with bullpen starters and regular starters, with set up men and long relievers, you now have a back-burner pitcher. 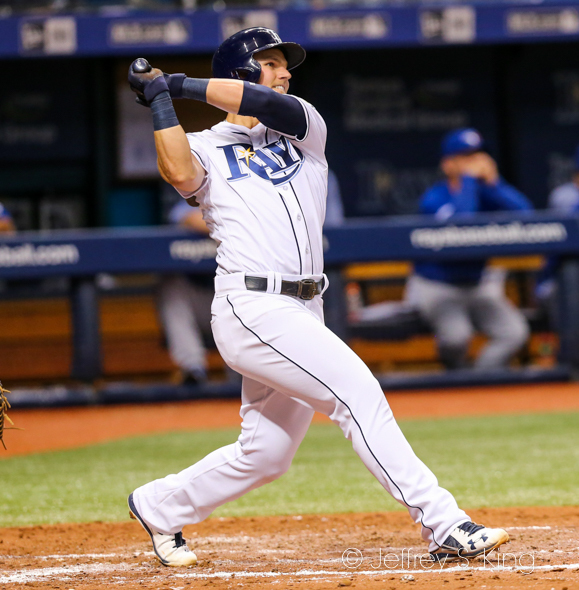 It's an idea that had been stewing with the Rays so they could get the proper matchups. “I guess you call him a closer-first-baseman-closer-out of the game guy,” Rays’ manager Kevin Cash said. Cash didn’t let Alvarado know fhe change was coming. Alvarez’ reaction? Said Romo: "The kid in me was pretty jealous of him getting to take the place of a position player." 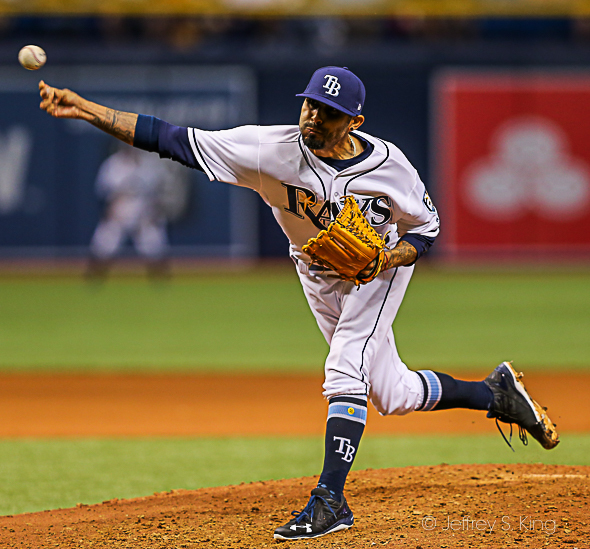 The Rays won their second consecutive shutout and extended their scoreless streak to 22 innings. It was the first back-to-back shutouts in four seasons. 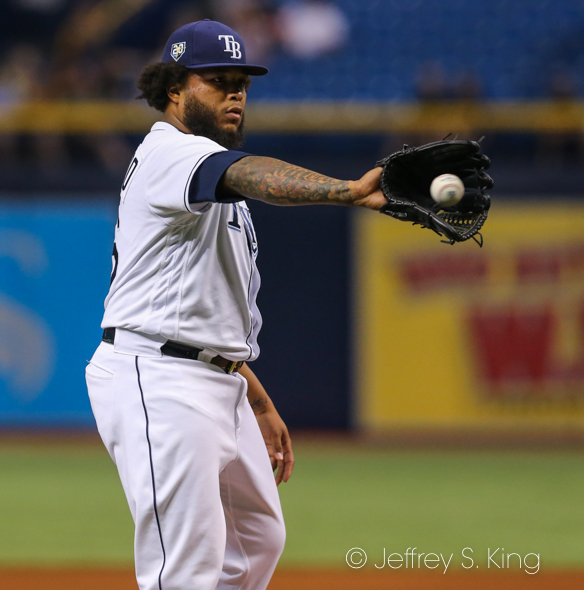 Of the Rays’ last 24 pitchers, only one has given up more than a single run in an appearance. 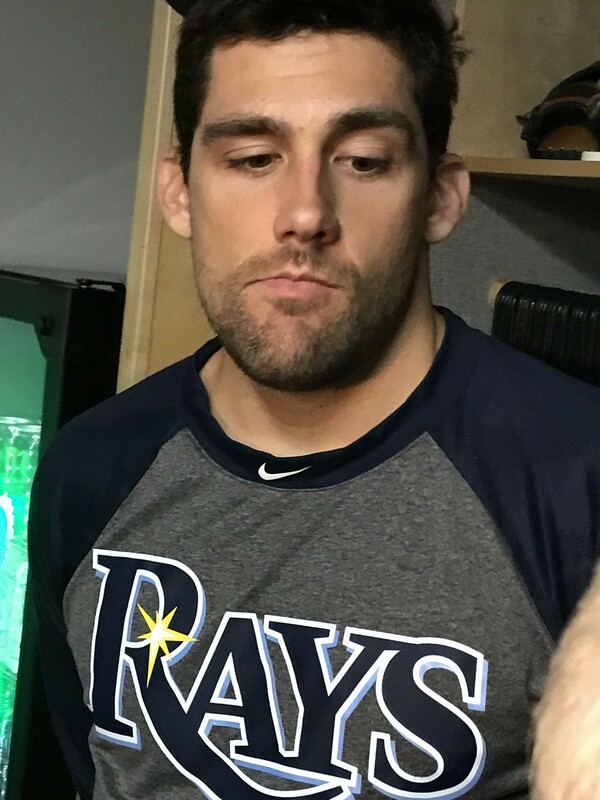 This time, the key pitcher was Nathan Eovaldi, who mirrored Blake Snell’s Monday start. Eovaldi carried a no-hitter into the sixth (Snell carried his into the seventh) and outdueled Max Sherzer. Eovaldi had a no-hitter going for five innings. Eovaldi said it was the first time he had ever been replaced by a reliever twice. The moves with Alvarado weren’t the only ones that left an impression. After the game, there were hostilities between reliever Sergio Romo and infielder Michael Taylor. Romo was still burning because of a late steal in a lopsided game by Taylor in an earlier series and let him know. Both teams surrounded the mound, but there was nothing beyond mild shoving. “I think I said enough out there,” Romo said. “It’s self-explanatory, I think. No disrepect to that team, no disrespect to their coaching staff, no disrespect to anybody on that team other than the person that I felt disrespected me. I don’t know him personally, I have nothing against him off the field, I’m just letting you know that this game is very unforgiving. The way I was taught to play this game is that it governs itself. I just had to let him know that I didn’t like it. 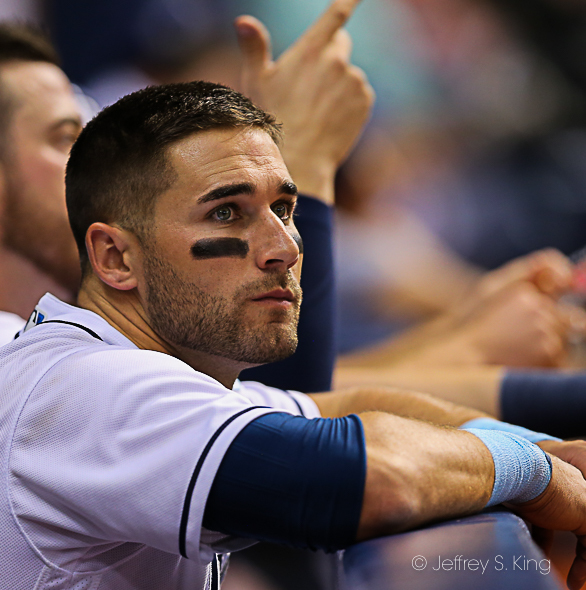 The Rays are off today, then play against Houston on Thursday. Ryne Stanek starts for the Rays at 7:10 p.m.